Easy Christmas shopping: It is possible, people. The challenge: To buy every Christmas present from one place and keep it cheap. I’ve always been ‘that’ person at Christmas time. The one that hasn’t done any of their shopping and has left everything to the last minute. No matter how many times I say to myself that this year is going to be different, I’m going to be more organised, the reality is I’ll never change. Every year I have an array of people to buy for. Friends, family, cousins, Secret Santas, housemates — and quite frankly allocating time to do all of that is overwhelming. I’m also ‘that’ person who walks into a big shopping centre and turns into an excitable puppy jumping all over the place, going into every shop and wanting to buy everything with the limited amount of cash on my card. But this year I’ve set myself a task — to buy all Christmas presents from BIG W (in the one day) and keep to a budget. 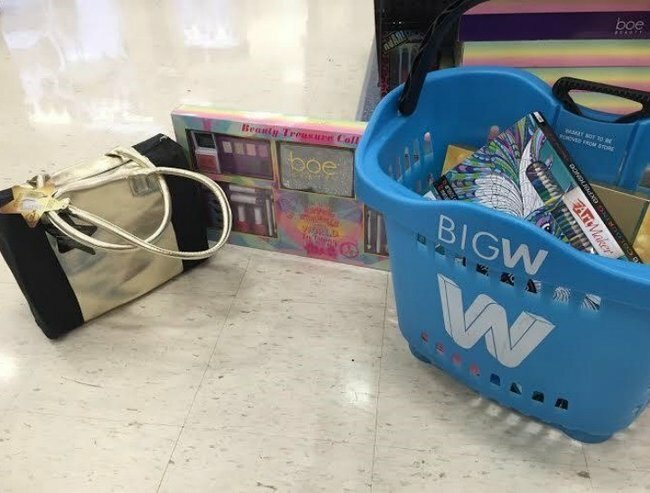 “This year I’ve set myself a task — to buy all Christmas presents from BIG W (in the one day) and keep to a budget.” Image: Supplied. List in hand I drove to Westfield, my Christmas shopping naivety shining through here — I’d chosen peak time and finding a park was near impossible. I’ll admit it, I’m officially a Christmas shopping rookie. Nonetheless, I headed into BIG W for a stress-free experience. On the list this year are my housemates, Secret Santa victim, Dad, Mum and sisters. Now some may find this choice a bit cheeky — but when buying for someone I live with I have always had the theory that it’s best to buy something that you can use as well. It just makes sense, after all when you live with them you get access to their goodies too. 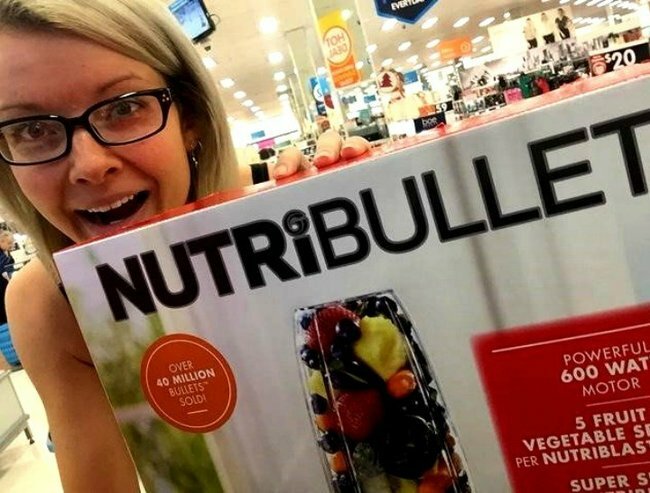 I’ve not-so-secretly wanted a Nutri Bullet for a very long time so when I ran past this at the entrance of BIG W I was tempted. And at $30 off it would have been rude not to buy it — a treat for the boy and for me, everyone wins. “At $20 off it would have been rude not to buy it — a treat for the boy and for me, everyone wins.” Image: Supplied. For the office Secret Santa, I wanted to find something a bit quirky that no one else would ever think of. Walking through BIG W the colouring books caught my eye and I immediately remembered reading about adult colouring books being the current trend. Colouring in being acceptable at my age? Now that’s something I can get on board with. 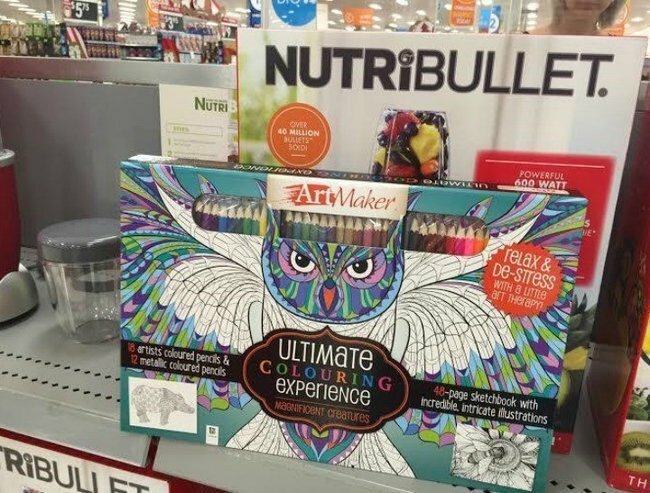 I asked the BIG W shop assistant about the new craze and she led me straight to what I wanted, an adult colouring book with 30 pencils included all for only $15. “For the office Secret Santa, I wanted to find something a bit quirky that no one else would ever think of.” Image: Supplied. With two people ticked off my list, it was time for the easiest of presents. Without fail every year my Dad wants chocolate, that’s his ‘thing’ and I’ve never been one to go against that. I raced around the confectionary section trying to find something that looked like a perfect gift. It had to be big enough that he wouldn’t eat it all on Christmas Day, but small enough that it would stay within my tight budget. Success in Lindt ball heaven. Straight into the basket. 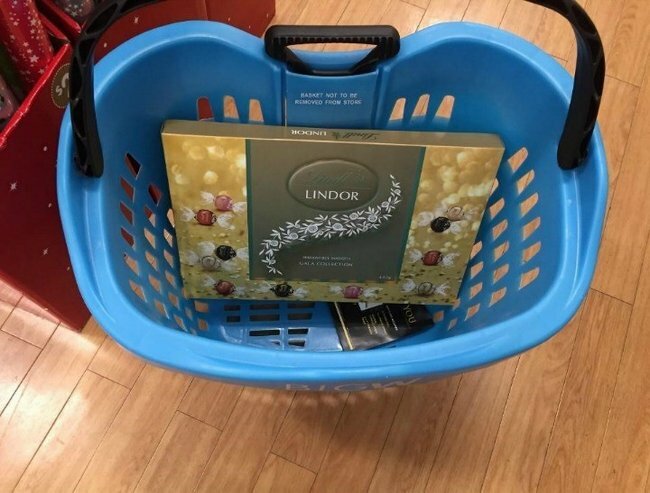 Straight in the basket. Image: Supplied. 4. The sisters and cousins. Next stop, beauty products — the never fail option for my female cousins and sisters. The Boe Beauty gift sets come in two different options- Boe Beauty for tweens at $5 or Boe Beauty Professional $10 each. This was a no brainer, straight into the basket. The gift packs come with a huge range of make-up, definitely worth way more than the amount you pay. Favourite cousin and sister status will be on the rise with this one. “Next stop, beauty products.” Image: Supplied. Now for the hardest gift, something for mum. Every year I struggle with this one because she always buys us such awesome presents. It’s always the big battle — to go with a serious present or a joke present you know she’ll appreciate. 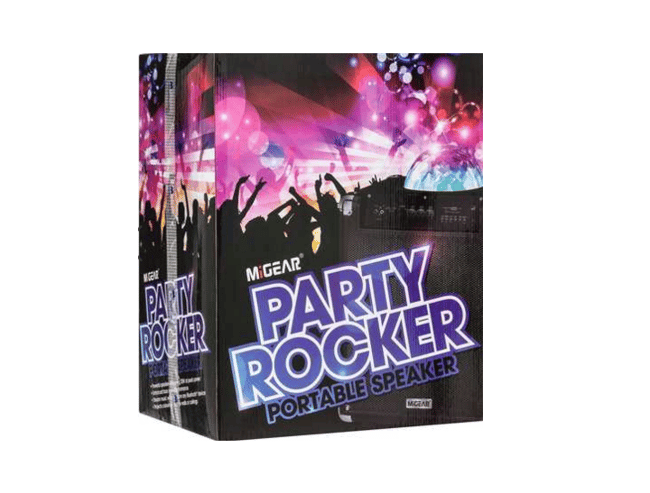 My mum is a music teacher so when I saw the Party Rocker Karaoke machine on sale, I couldn’t resist. I can already imagine her at school with the kids, or actually, let’s be real—more like at home with her best friends after a few wines singing their lungs out. Either way it’s the fun present that’s better than the standard massage voucher this Christmas. I may have gotten a little bit excited with some of the presents, but it was all completed in under 15 minutes. 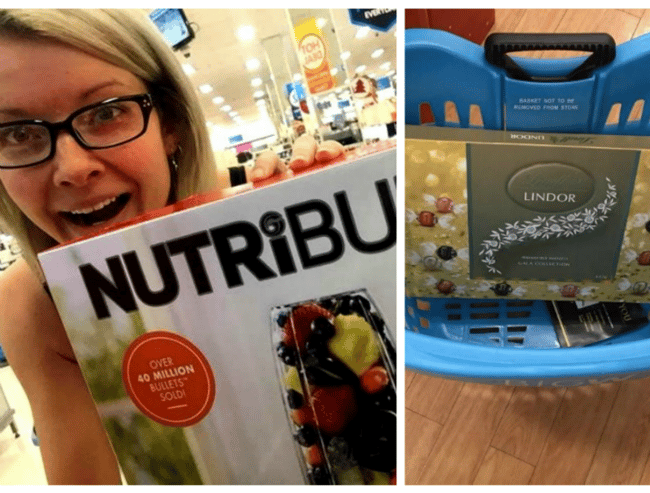 The quickest Christmas shopping experience I have ever had and all on a budget. 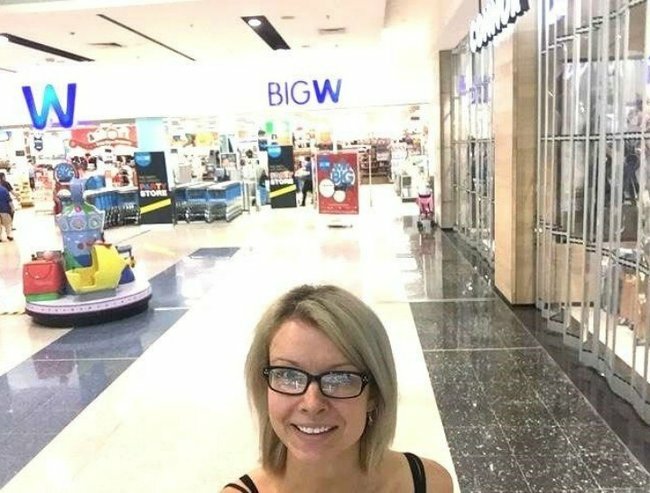 My tip if you want to plan ahead and get in and out quickly, head to the BIG W Christmas page for gift ideas before going in store. Present shopping done easy. What are you gifting your family this year?